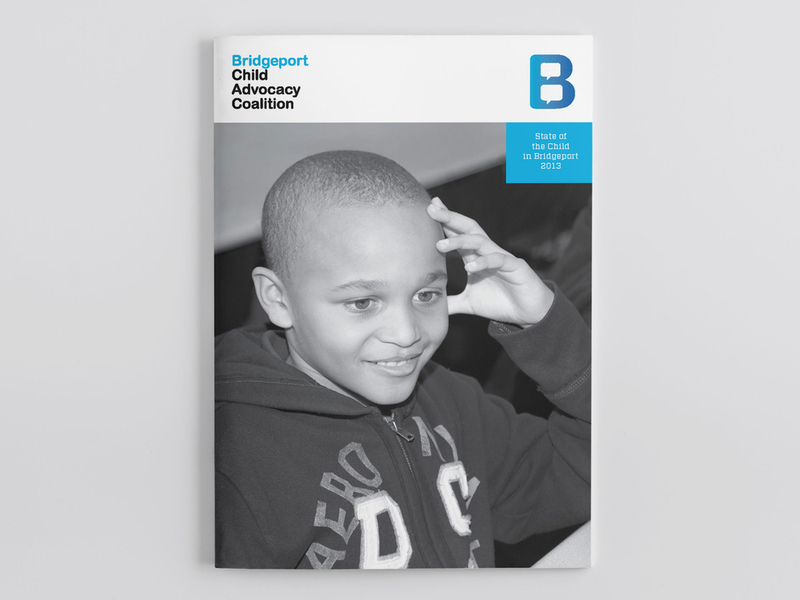 The Bridgeport Child Advocacy Coalition (BCAC) is a coalition of organizations, parents and other concerned individuals committed to improving the well-being of Bridgeport’s children through research, community education, advocacy and mobilization. BCAC challenged NEO to create a brand platform that crystallized the organization’s vision and differentiated them from their peers. 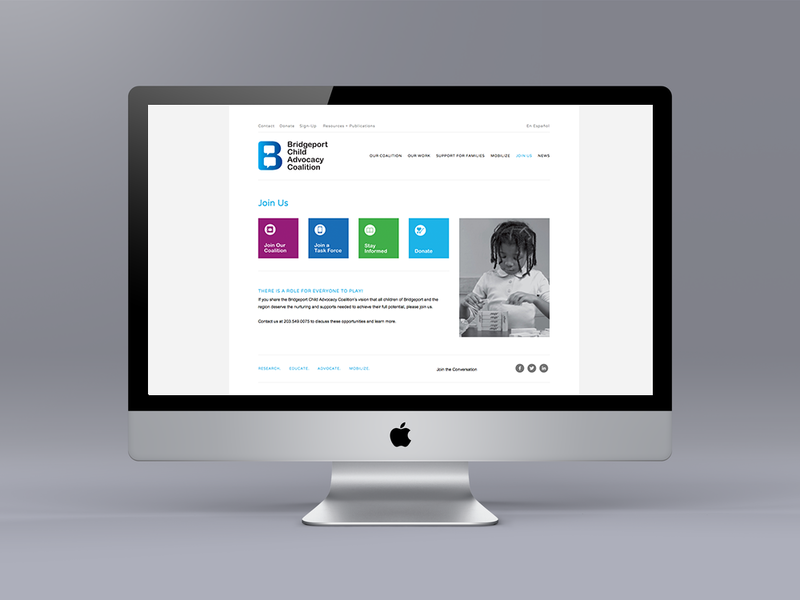 An iconic letter "B" punctuated with speech bubbles serves as the new identity for this ever-growing organization whose emphasis on advocacy is a hallmark of their work. A bright color palette conveys accessibility, brings a youthful tone to the organization and further distinguishes them in the non-profit space. BCAC's new online presence underscores what the organization does best: present the facts; create a discourse, and mobilize and compel action. 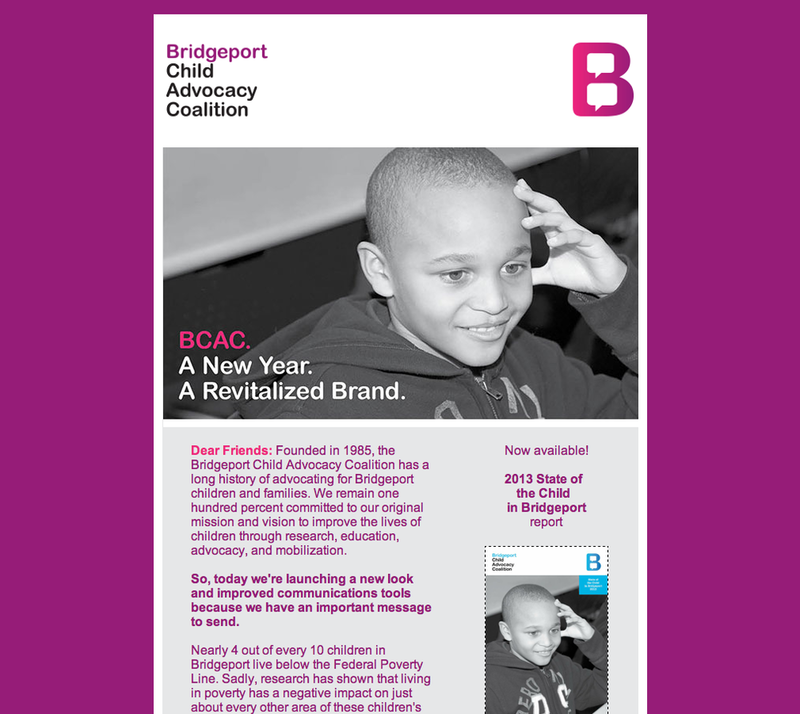 BCAC produces The State of the Child Report, which is a highly anticipated report on the well-being of the children in Bridgeport. 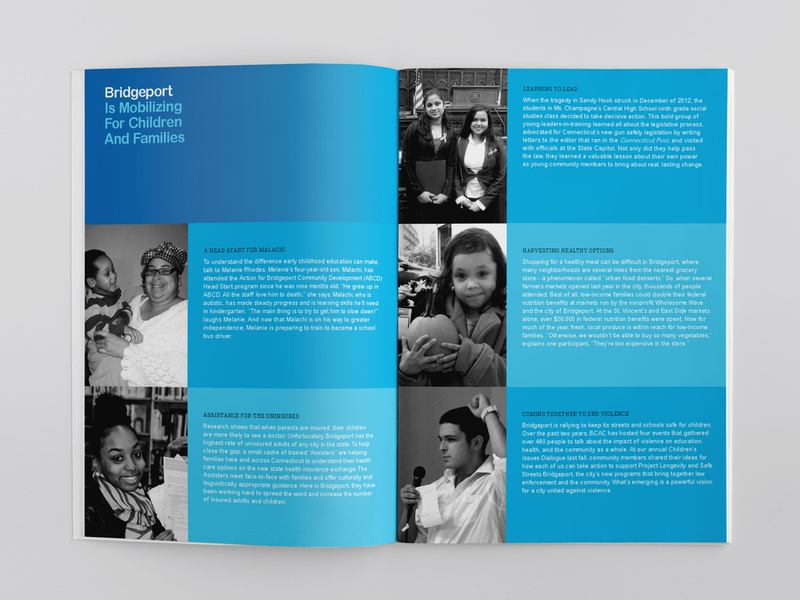 Armed with facts and statistics, the report helps to mobilize parents, community leaders, clergy and service providers to advocate for policy and systems changes to improve life for children and their families, which comprise some of Bridgeport’s most vulnerable and disadvantaged. The organization's four driving principles: Research, Advocate, Educate and Mobilize, and their inter-relationship, simply and elegantly elucidate BCAC's vital mission. Email blasts, invitations, programs and posters bear the organization's bold and colorful visual palette, creating a unifying and recognizable presence to all audiences, especially potential donors.